Statins could be approved for people who don't have heart disease and have healthy cholesterol levels. (Health.com) -- Should people who don't have high cholesterol take a cholesterol-lowering statin? Maybe, according to the U.S. Food and Drug Administration, which is considering an advisory panel's recent recommendation to do just that. If the FDA adopts the panel's recommendation -- the agency isn't required to do so, but typically does in such cases -- it would mark the first time that a statin was approved for heart-disease-free people with healthy cholesterol levels but other risk factors, including high levels of C-reactive protein (CRP), a marker of inflammation. It would also mean that roughly 6 million new patients would be eligible to take a statin -- in this case, Crestor (rosuvastatin). The recommendation "changes medical practice dramatically [and] will work its way into the guidelines," says Dr. Steven E. Nissen, the chairman of cardiovascular medicine at the Cleveland Clinic. Cardiologists are divided over the expanded use of the drug. Some say it will help fight heart disease; others are concerned about the data used by the panel and the potential side effects of statins. Adding to the debate is a new study, published this week in The Lancet, that calls into question the strength of the connection between CRP and heart disease. The panel's decision was based almost entirely on the Jupiter trial, a study funded by Crestor's maker, AstraZeneca, that compared a daily dose of Crestor to placebo in nearly 18,000 people who fit the description used by the panel (and who would not be eligible for a statin under the current guidelines). "There was a 44 percent reduction in death, heart attack, and stroke among people taking Crestor," says Nissen. "The benefit was very large and happened very quickly." "I don't think the new labeling recommendation is really controversial," he adds. "The decision was very straightforward and among the people who treat lipids, this is a no-brainer." Not all experts agree. Cholesterol is clearly not the only risk factor for cardiovascular disease -- half of all heart attacks occur in people with normal levels of LDL, or bad cholesterol -- but the accuracy of CRP as a predictor of cardiac risk has been disputed. And because statins, like many drugs, carry a risk of potentially serious side effects, the evidence for CRP may not be strong enough to justify prescribing these drugs to healthy people over the long term, they say. 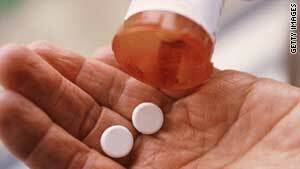 Health.com: Which statin will lower your cholesterol? The benefit was very large and happened very quickly. --Dr. Steven E. Nissen, chairman of cardiovascular medicine at the Cleveland Clinic. Dr. Stephen Kopecky, a professor of medicine and cardiovascular disease at the Mayo Clinic, in Rochester, Minnesota, points out that elevated CRP levels don't necessarily indicate an increased risk of heart disease. "There are a lot of things that make CRP levels increase that are not due to heart disease," he says. Because CRP is a generic marker of inflammation, it can rise due to any condition that causes inflammation, such as an infection, he says. In the Lancet study, the largest analysis of its kind to date, researchers analyzed the role of CRP in heart attack, stroke, and numerous other conditions (such as cancer) in more than 160,000 people. The study found that people whose CRP levels were three times higher than average had a 68 percent increased risk of heart attack and a 39 percent increased risk of stroke. But when more traditional risk factors for heart disease -- such as cholesterol and blood pressure -- were taken into account, the connection between CRP and heart disease was less apparent. Their findings, they write, "reduce the likelihood" that heart disease is directly caused by CRP. Dr. Maria Belalcazar, an assistant professor of endocrinology at University of Texas Medical Branch, in Galveston, Texas, says that CRP "is one more indicator of risk that we need to evaluate carefully to decide if a person needs [statin] therapy." CRP, however, "needs to be evaluated in context of patients' overall risk," she says. "The whole risk profile needs to be taken into consideration for primary prevention because we are committing a person to taking the medication for more than 20 years." Although statins are generally well tolerated, side effects can include muscle pain or weakness and liver damage (which is usually reversible). In the Jupiter trial, a greater percentage of participants taking Crestor developed diabetes during the study; there were also 13 deaths related to gastrointestinal disorders and 18 patients who reported "a confusional state." The advisory panel -- as well as a separate FDA reviewer -- decided that the benefits of Crestor outweighed these risks, however. This may indeed be true in people who need to lower their LDL cholesterol, but it isn't necessarily the case among people with normal cholesterol, says Kopecky. We have to make sure that their lifestyle is healthy before jumping to a medication. Nissen says that although liver enzymes rise in people who take statins, "there is no risk of liver failure," and "muscle weakness is real, but rare," he says. "These are among the safest drugs and I am glad we have them," he says. For his part, Kopecky stresses that the emphasis on CRP, cholesterol, and statin therapy should not distract people -- and physicians -- from other important factors in heart disease, such as family history and lifestyle. Statin therapy is useful, Kopecky says, but it shouldn't take the place of healthy living. "Statins are a great drug for the right person, but we have to make sure that their lifestyle is healthy before jumping to a medication," he says. "You just can't jump to medical therapy," he explains. "I ask [patients],'Do you exercise and eat five servings of fruits and vegetables a day? Do you smoke? Is your weight in a reasonable range?' Living a healthy lifestyle can cut your chance of heart attack or stroke by 90 percent in decades. That's better than any therapy."